Tested and approved, this ergonomic half-zip T-shirt is designed for the dynamic mountaineer and built for fast mountain ascents. 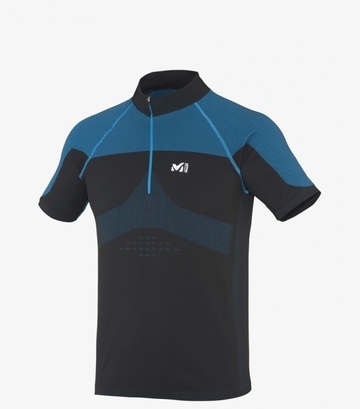 LTK Series The LTK Seamless Zip short sleeve t-shirt delivers high performance in challenging environments with a moisture wicking fabric and body mapping design. The polyester fabric composition provides good moisture management and, to help preserve the performance, a Polygiene® treatment stops odor causing bacteria and reduces the need to wash. The fabric's weaving variation maps out the body to enhance ventilation exactly where it is needed: underarms and laterals, sternum, below the chest and center back, while excess heat can be released using the front zip. The shoulders area is reinforced for more durability, so your backpack leaves no trace. The Alpine Fit™ is close to the body while gives enough room for unrestricted movement and the seamless construction enhances energy efficiency and comfort. 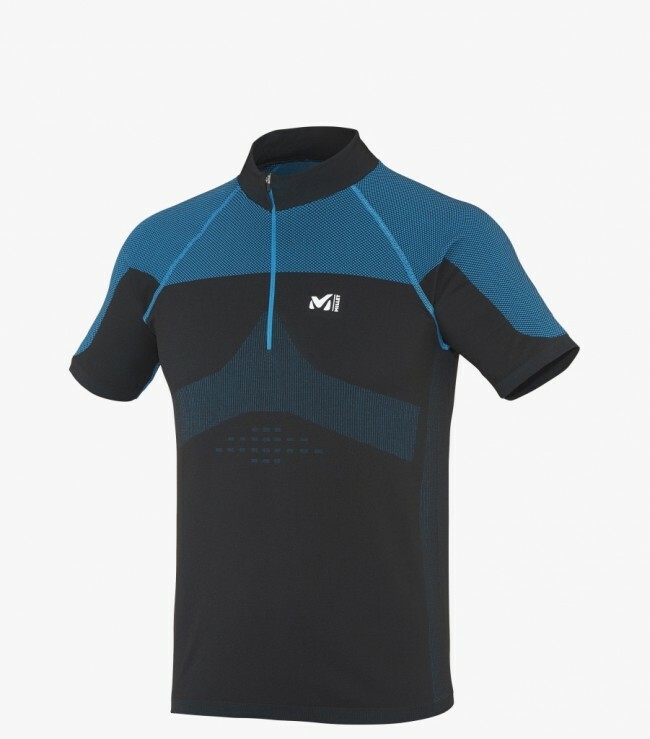 With high-visibility markings (reflective logos), the LTK Seamless Zip t-shirt is ideal for fast and light adventurous runs, in daylight or in the low light of early mornings and evenings.